I thought you may like to know a bit about peptiHyaluronic. It is a favorite of mine and a best seller! All of our cells have peptides that are naturally occurring in our bodies. Peptides have different functions, such as messaging and signaling cells to perform a specific response. Our dermis has Fibroblast Cells. Fibroblast Cells are responsible for producing collagen, elastin, and glycosaminoglycans (GAG’s). GAG’s are a fluid our collagen and elastin fibers bathe in, with Hyaluronic being more than 50% of this fluid. HA has the capability of attracting and holding up to 1000 times its weight in water! GAG’s are essential for healthy fibers, as well as providing the transport system of vital nutrients to and from your cells. This fluid is made up of mostly hyaluronic (HA). As we age, our HA production decreases 1% – 1.5 % a year from age 25. By age 50, we have at least 25% less HA available to our cells. Pepti-Hyaluronic contains a peptide which supports the natural production of hyaluronic acid deep within the skin (dermis), bringing back the hydration levels of your youth, naturally. 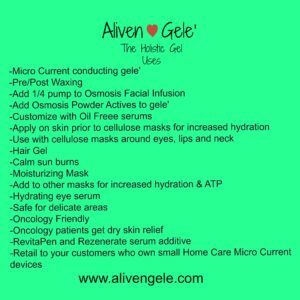 What this means is that your own fibroblasts cells are messaged to amp up the production, naturally stimulating your cells to create more HA! Remarkable! HA is necessary for healthy, hydrated skin. Please Note: This is NOT a Hyaluronic Serum. Topically applied HA sits on the top of your skin and can dehydrate you. If you’d like to order a bottle of VDA Pepti Hyaluronic, please email me or call! Viktoria Deann Cosmeceutical Peptides is an award-winning, bioavailable Peptide line, delivering optimal results and healthy for your body! Fractionated Coconut Oil ~ What is it? I wrote this piece for a private Viktoria Deann fb page and thought you would enjoy reading this too ~ I have been a Rep with VDA since Dec 2017 and am extremely impressed with the transformation of skin conditions with our line. The white meat of a young coconut is removed and the oil is separated out by being heated, pressed or chemically extracted. Our source is pressed. There are 8 fatty acids (FA) in coconut oil, with lauric acid being the predominant FA at 49% or more (*9), and the one most responsible for it solidifying at room temperature. Fractionation separates out the longer chain fatty acids ~ these are the FA’s that have a higher boiling point and responsible for the coconut oil being solid at room temperature. Caprylic and capric acids now become the main FA’s and are considered medium chain saturated fatty acids, along with Myristic and Palmitic FA’s. The amount of carbon atoms and how it is absorbed by the body determines if a FA is a long, medium or short chain FA. Fatty Acids were categorized in 1982 by Bach and Babayan into 3 groups after an extensive review of the physiological effects they exert in the body. These groups are: short (<6C), medium (6-12C) and long (>12) chain fatty acids. (*5) The longer the chain, the higher the melting point, the longer it stays solid. The “C” represents carbon atoms. Removing these, or fractionating them out, creates the liquid version. -The capric, caprylic, myristic and palmitic acids all retain their highly-moisturizing capabilities, trapping water deep within the tissues, assisting the skin’s ability to repair a damaged skin barrier and/or keeping the barrier healthy. -It is rich in Vitamins A, C, and E, helping to maintain a tighter, firmer appearance. -Fractionated coconut oil is oil soluble, making it the perfect carrier oil(*7). -It is also extremely light, non-greasy, absorbs quickly, non-pore clogging, and a disinfectant making it an excellent choice for acne and acne prone skin (the pore clogging longer chain FA’s are removed) and soothes inflammation. -It also treats skin conditions like psoriasis, eczema, diaper rash, chapped lips, and dry skin. If you would like to order any of my Viktoria Deann Cosmeceutical Peptides, please email me: shari@skincaringservices.com I’m happy to have a phone consultation and create a personalize homecare program specific to your needs. They are at the top of the Skin Care Beauty Pyramid, and are known for creating “Optimal Results”. Viktoria Deann products are full strength, biologically active peptides in a base that restores your skin’s natural moisture. peptiEYE – Our Award-Winning peptide eye serum. Reduces puffiness, dark circle, hydrates, and plumps. Feels really nice! Rejuvenator – Increases cellular metabolism for a more youthful skin. Comes in three strengths. Replaces retinol. SPF UVA UVB – What does it all mean? It’s confusing out there with all the choices available on the shelves. Let’s take a closer look and clarify the difference. This refers mostly to protection against UVB rays & has little to do with protection from the sun’s UVA rays. Sunscreen should be reapplied at least every two hours or immediately after swimming, drying off, or sweating. Does it protect you from UVA rays? UVA rays penetrate deep into the skin, suppress the immune system, accelerate skin aging and may cause skin cancer and cataracts. If you frequent tanning beds, beware: According to Wikipedia, most tanning beds emit mainly UVA rays (typically 95% UVA and 5% UVB, +/-3%) which increases the risk of melanoma, the deadliest form of skin cancer. UVB rays are actually “good” for us in small amounts, as these rays help your body produce Vitamin D. According to Dr Mercola, Vitamin D helps support cardiovascular health, a healthy immune system, healthy teeth, strong bones, optimal blood pressure, enhanced muscular strength, and supports healthy kidney function. This is just a partial list of all the ways Vitamin D optimizes your health. In addition, Dr Ben Johnson, founder and formulator of Osmosis Skin Care states: “I would remind you that the international research by many countries has proven that UVB sunscreens increase the incidence of malignant melanoma by roughly 67%….. The research is very clear that 30 minutes a day will reduce the risk of many types of cancer, as well as many other medical diseases”. As you can see, we need some UVB rays to stay healthy. When slathering on sunscreen, know that you are mostly blocking the UVB rays, as most sunscreens have little protection against UVA rays. Uses chemicals to absorb the UV rays. These products typically include a combination of two to six of these active ingredients: oxybenzone, avobenzone, octisalate, octocrylene, homosalate and octinoxate. Avobenzone is the best chemical for absorbing UVA rays but may breakdown when exposed to sunlight. You will find that avobenzone is often stabilized with other chemicals that are known hormone disruptors, such as oxybenzone. Uses Zinc Oxide and/or Titanium Dioxide as physical blocks to the suns rays. These particles act as little reflectors, reflecting the sun’s rays away from you. Zinc Oxide is considered excellent UVA protection. This is a good choice for your sun protection. Note that there are products that combine zinc oxide with chemical filters, so read your labels. *Most of the ingredients approved for use in the U.S. only protect against UVB rays. Only avobenzone and zinc oxide provide long-wavelength UVA protection. Other chemical ingredients—oxybenzone and methyl anthranilate, for example—provide only partial broad-spectrum UVA protection. Avobenzone (Parsol 1789) does provide broad-spectrum UVA protection, but it quickly loses potency when exposed to UV radiation unless it is combined with a photostabilizing agent. This non-nano, coated, zinc-oxide based sunscreen offers sheer, long-lasting coverage. Great for all Fitzpatrick’s, ages, and skin types. Zinc Oxide has the best broad spectrum coverage of all currently available sunscreens. Whether you are planning on going out in the sun or going to the office, you’ll be protected and looking fabulous with this sheer, lightly hydrating formula.This is a luxurious high end sunscreen at a very reasonable price. This frequency enhanced water is specifically designed to cancel UV rays and reduce inflammation and redness. Take it with you to the pool, the park, and everywhere in between. UV Water can be used alone or along with physical protection. Great for children! If you are interested in either of these sunscreens, let me know! I’ll get you hooked up! Recently, I pulled my Neurotris SX3800 MicroCurrent machine out from my bottom shelf and am having major WOW!!!! Because there is no other MC machine that delivers these results. Click here to read “Madonna Fork Facial Revealed” article in SKIN INC magazine, a trade publication for Estheticians. Then book your appointment by clicking the SCHEDULE NOW button. The ways I am able to use my machine are incredible: Madonna’s famous FORK PROBES, single probes, pads, gloves, and clips that I attach to my Nano Hydrating Mask ~ to give you a LIFT! Do you want firmer, tighter, brighter, lifted juicy skin??? Get your sweet cheeks in here ~ NOW!!! Who LOVES You??? I DO!!! I recently had my first 3D Mammogram last month. This ignited an interest in keeping my breasts healthy. While sharing with my parents that I had my 3D mammogram, my mom mentioned she had just heard of this smoothie recipe created by Dr. Funk, Angelina Jolie’s doctor. I am sharing this with you today since we all need to be concerned with our breast health and I care about you. It does not matter if we are female or male, we were all born with them. Some are just larger than others! 2 PACKED CUPS of dark leafy greens like spinach, kale or collard greens. 2 CUPS BERRIES like Raspberries, Blueberries, Blackberries, Boysenberries, Strawberries. Use frozen to make it frothier. Can break the routine by using peach, pear, mango. 1) Combine all ingredients in a 500-watt high-quality blender to mash through frozen antioxidants and mix all the flavors. 2) If you can, drink over 20 minutes through a straw to avoid tooth enamel damage. 3) Do a simple water rinse for your teeth – NO brushing for an hour. To mix things up, you can add vanilla, fresh mint leaves, fresh basil leaves, lime juice, lemon juice, fresh ginger root, cayenne pepper, 1-2 drops clove oil. ALT: Use 1 cup berries + 1 Cup less expensive fruit such as sliced apples or oranges. I hope you enjoy this huge dose of breast health! During my Wisdom Course Weekend, I got really clear on my business commitments to you. This was an interesting process and I am sharing a bit about how I arrived at these commitments. This is important to me to share with you. You probably know skin care is my passion. What I found out this weekend is what I do reaches beyond the skin, it reaches deeply into ones very core and can be life transforming. I had the belief that what I have to offer seems insignificant to others. After all, what does a facial or skin care products have to do with “quality of life”? While I was at the microphone sharing my disempowering belief that “what I do seems insignificant, especially compared to ending world hunger or other large-scale commitments” a client of mine in our course, raised his hand, asked if he could share something and came up and joined me. WOW! Really??? I made this kind of a difference in this persons life??? So, what commitments did I generate for you during this weekend? 1) I want to make Taking Care Of Yourself Fun. 5) I will Always do my Very Best for you! I’d love hearing from you. YOU are the reason I am here, WHY I continue educating myself, and WHY my passion grows. Use with My Skin Buddy as a hydrating mask treatment. Rinse off afterward. Come up with your unique way of using Aliven Gele’ and share with me! 120ml Retail size sold exclusively through Estheticians. Not available on Amazon, ever!